Home school is a growing trend in the United States and around the world. Learn more about how to home school. 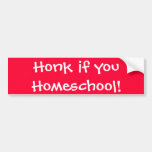 Home school is a way that many families are now choosing to educate their children. Home school is not really new, since that is how many children were education in the last thousands of years, but it is a fairly new trend in modern history since dawn of the compulsory education era. During the 1970’s and 1980’s in the United States, a few families across the nation decided to home school their children. Many of them chose to home school for religious reasons, other decided to home school because they believed it was a better environment for their children. Whatever their reasons were, it was not always an easy task to home school in those beginning days. In many places, home schooling was illegal and the parents could be fined, jailed or even loose their children to the state. I have heard stories of parents that left their home in the morning with their children (to look like they were going to school) and then return with their children hidden in the car. They spent their home school day with the curtains drawn so nobody would know they were home. Well, fortunately those days (at least in the United States) are over and home school is legal in all 50 states. Today, people home school for many reasons. Religious reasons are still among the top reasons, but so are failing schools, the violence and the negative social atmosphere in many schools are among the top reasons families decide to home school. 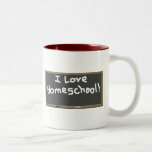 Most families have a variety of reasons that they home school and would have a hard time pinpointing only one reason. Back when home schooling started, it was hard to find resources for home school children. Many textbook companies would not sell to parents. Today there are hundreds of thousands home school resources if not millions. Sometimes it is hard to choose, since there are so many. I started getting interested in home schooling when my oldest child was about 3 years old, but at the time I was a single mom going to college, so it didn’t seem possible for me to home school. The reason that I became interested in the first place, was because of the failing schools. Then right before my child turned 5 years old, I got remarried. My new husband made enough money that I could stay home with my child and he supported me being a stay at home mom. I went ahead and sent my child to kindergarten, but before he was in first grade, we decided to home school. By then, I was also expecting another child. Now I home school for many reasons. For me religious reasons are probably my number one reason, but I am still concerned about the environment in the public schools and in addition, both of my children are special needs and I am concerned they would be left behind in public school. I am very glad that we home school. Some parents are concerned about the amount of time it takes to homeschool and don’t feel like they can do it. It does take time, but you get use to the lifestyle. I cherish the freedom of not having to get up at the crack of dawn to get my children on the bus. Many home school families take advantage of the fact that you can take your vacation at any time of the year and they enjoy their vacations on the off season when prices are lower. I have grown to love having my children around and the house feels empty when they are gone. One of the biggest advantages, in my opinion, is I am the one that is shaping my children’s values, not some stranger. I can choose who I wish to teach my children and who they are going to be around. For me, home school is the only way I want to live. Yes! I love to home school! No, we do not home school. I don't home school yet, but I am interested. Are you considering Home schooling? 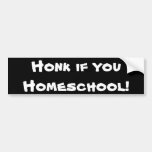 Or do you already home school? Please Leave a Comment! Love my homeschool! So glad to see you on Wizzley writing about homeschooling too! 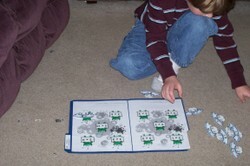 Many people worry that the supposed lack of homeschooling socialization opportunities will create shy kids. In fact, the opposite is true.